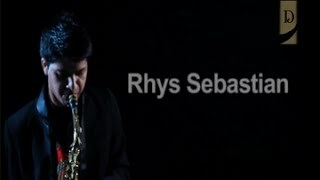 Rhys Sebastian is one of the country's most prodigious saxophone talents. He's the son of renowned pianist Merlin D'Souza, and grandson of cello player and music composer Sebastian D'Souza. He began singing when he was less than three years old, learnt the piano when he was 13 and then started on the clarinet. But he found his metier with the sax... for now. Rhys made his debut as part of the 13-piece jazz group called The Big Band, playing alongside veteran city musicians such as his mother Merlin D'Souza, the Monserrate horn players and vocalists Shazneen, Vivian Pocha, Suzy Q, Bianca and Jazzy Joe his then guru.